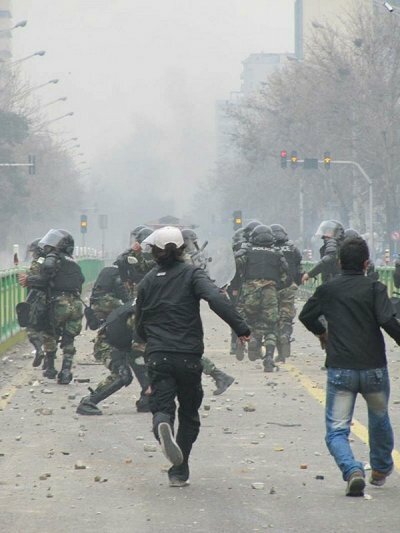 Massive protests broke out in Iran today. 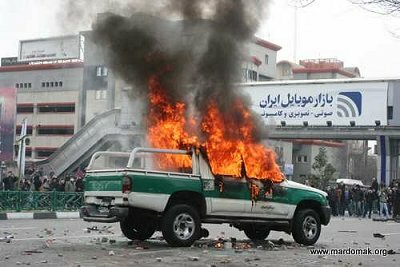 An Iranian opposition website said opposition leader Mousavi’s nephew was killed during clashes with security forces in Tehran on Sunday. “Ali Mousavi, 20, was killed in clashes on Sunday noon and his body was still kept in a Tehran hospital,” said parlemannews. 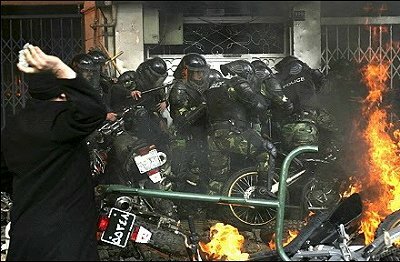 Other protesters helped to free the Basij thugs. The Jawa Report is following the massive protests today. The Daily Night Owl is following the protests today. For the record… Bush would have stood with the Iranian protesters.